Oil and Gas Drilling in Oakland County. How Did We Get Here? This list is a brief timeline of events regarding Don’t Drill The Hills, Inc., the City of Rochester Hills, and the Jordan Development’s (oil/gas company) ambitions in Oakland County. It is detailed but not entirely comprehensive. If you have more information, please comment below and we will update the timeline accordingly. January 31, 2011 – After nearly a year of sustained protest at Rochester Hills City Council meetings, the City held an official public hearing for residents in order to discuss a water reservoir proposal for City park land. A picket line formed outside and 350 people jammed City Hall in order to protest. Fox News covered the event. The City relented, and pulled the proposal, just weeks away from permitting and the planned groundbreaking. June 2011 – In order to prevent proposals in Rochester Hills city parks from moving forward without voter approval, a petition drive was initiated. Resident Mr. Gary Uhl drafted ballot language influenced by a similar measure in West Linn, OR. Mr. Uhl and a team of residents from across the City worked through the summer to obtain signatures. August 10, 2011 – A Petition with 3,108 signatures, significantly more than the 2,584 required, secured a place for a Parks Charter amendment on the Rochester Hills November 2011 ballot. Rochester Hills City Attorney Mr. John Staran, the Mayor, and other City administration, as well as then District 2 candidate Mr. Adam Kochenderfer, assisted Mr. Uhl in crafting final ballot language prior to submission to election officials for placement on ballot. November 8, 2011 – Rochester Hills city residents voted to amend City Charter to read “City-owned parks and open spaces shall be used only for park and open space purposes and shall not be sold, leased, transferred, exchanged or converted to another use unless approved by a majority of votes cast by the electors at an election. ” This language intended to “preserve City-owned park[s] and open space for recreational use and environmental preservation and enhancement” and “prevent parks and open space from being used for other purposes or sold or exchanged without voter approval.” This measure was approved with 9,426 votes YES, and 1,250 votes NO. Unknown, sometime before September 21, 2012 – Jordan Development reps and their legal counsel, Mike Cox, met with City officials from Rochester Hills to inform them that they had been awarded exploration rights in Oakland County, and were interested in four particular areas of Rochester Hills. The mayor requests and then receives a proposal for an oil and gas lease for the City of Rochester Hills. September 21, 2012 – The Mayor sent out a letter (Mayor Summary 92112.pdf) to a limited number of residents adjacent to Nowicki Park, Tienken Park, Stony Creek Cemetery and east of Paint Creek acknowledging that some residents had received subsurface mineral lease offers for oil exploration from Jordan/West Bay. The Mayor’s letter offered some basic information, but stated the City cannot offer any advice. Instead, they directed residents back to the landman rep from West Bay for any further inquiry. October 22, 2012 – During a regular City Council meeting a proposal to lease three city owned parcels (Nowicki Park, Tienken Park and Stoney Creek Cemetery) for oil and gas exploration and extraction on City lands is presented by Mr. Ben Brower of Jordan Oil. It was the last agenda item of the evening. Questioning by the council reflected their overall concerns. Mr. James Rosen debated recusing himself from the discussion and vote because of the proximity between his home and Nowicki Park, but he votes regardless. However, Mr. Rosen states he wants Mr. Staran’s oral opinion that there’s no conflict with the 2011 Parks Charter Amendment in writing prior to a vote. Mr. Ravi Yalamanchi, the councilmember whose district is most impacted urged caution and suggested that the Council consult with citizens and homeowners’ associations. Other members expressed the general opinion that the city stance makes no difference on oil/gas exploration in the area. Concerns with the phrasing of the lease and the lack of appendices are overlooked in favor of a quick vote. The vote is 6-1 for tentative approval and move to pursue the lease, with Mr. Yalamanchi supplying the only no vote. The Council intended to revisit in two weeks for final vote. November 5, 2012 – No follow up vote on the Jordan Oil lease occurred. November 12, 2012 – No follow up vote on the Jordan Oil lease occurred . November 19, 2012 – No follow up vote on the Jordan Oil lease occurred. December 3, 2012 – During a regular City Council meeting, Jordan Oil lease appears on Council agenda for second time. Mr. Staran provides counsel’s opinion in writing stating there’s no conflict between subsurface mineral leasing and the Parks Charter Amendment. Mr. Brower requests an amendment to the contract stating that Jordan/West Bay reserves the right to return to the City to request any surface rig placement on City lands. Mr. Staran states that any amendments to contract language are contingent upon approval by the Mayor. Mr. Brower comments that it also helps the company to know that the City is on board. City Council vote is in favor of the lease, permitting the Mayor to sign the lease. Aye 5 – Mr. Greg Hooper, Mr. Nathan Klomp, Mr. Kochenderfer, Mr. Mark Tisdel and Mr. Michael Webber Nay 2 – Mr. Rosen and Mr. Yalamanchi. December 4, 2013 – Thornridge Homeowner’s Association hosted its Annual meeting at Rochester Adams High School including discussion and presentation of Jordan Oil’s offer to lease Thornridge common areas. 160 families attended the meeting, but the meeting attendance still fell short of the required quorum for a vote. After extending voting online 93.3% of voting Thornridge residents rejected Jordan offer to lease the HOA common areas. August 26, 2013 – Jordan Oil presented a proposal to City of Rochester to lease a total of 120 acres of city-owned land. September 6, 2013 – Mr. Jaymes Vettraino, Rochester City Manager, made a written recommendation to recommended accept the lease agreement. September 9, 2013 – At a regular Rochester City Council meeting, Jordan/West Bay offered their presentation of a subsurface mineral lease for Rochester public lands. After initial discussion, Councilwoman Russell moved, Sage seconded to schedule a Public Hearing regarding the leasing of gas and oil leasing rights on City property. October 14, 2013 – City of Rochester hosted a public hearing regarding the Jordan Oil proposal. As a result of citizen feedback, the Council postponed their decision until November 25, 2013. Mayor Pro Tem Cuthbertson requested the city’s administration produce a report on the safety of Rochester’s groundwater-sourced system located in Rochester Hills for the council’s Monday, Nov. 25 meeting prior to a Council vote on lease. October 15, 2013 – Jordan owner Mr. Robert Boeve sends letter to City manager Mr. Vettraino stating Jordan is withdrawing its offer to lease City of Rochester-owned land citing the negative reaction from residents at the October 14th public hearing. Mayor agreed to hold a Rochester Hills public hearing. Mayor agreed to schedule public meetings with Rochester Hills, Auburn Hills, Oakland Township and Oakland Township. Mayor agreed to send Rochester Hills residents a letter with an update on this issue explaining a) that residents are not obligated to sign a lease with Jordan Oil, b) that residents should not sign a lease without consulting an attorney, c) that a Rochester Hills public hearing with be held on or before March 1, 2014 to explain this issue. These citizens also requested that the Mayor rescind the City Council-approved Jordan lease contract for City-owned land. January 13, 2014 – 11 concerned citizens spoke during public comment at the City Council bi-weekly meeting . All expressed concerns with oil/gas exploration in Rochester Hills and the surrounding communities. The Council members expressed concern and offered to continue efforts to refine the plan and seek resolutions, but the general sentiment remained that “their hands are tied.” They directed the citizens to State legislators and the State’s oil and gas regulatory agency, the Department of Environmental Quality (DEQ). January 20, 2014 – Jordan Oil presented their proposals to the Auburn Hills City Council. The Neighbors for the Protection of Auburn Hills “No Drills in the Hills” group spoke in opposition during public comment. January 25, 2014 – The organizational website www.dontdrillthehills.org went live. February 20, 2014 – The group of concerned residents adopted the identity of “Don’t Drill The Hills”. The website www.dontdrillthehills.org went live. March 3, 2014 – Don’t Drill The Hills appealed to Oakland County Water Commissioner, Jim Nash, to host a town hall meeting in the Rochester area regarding the potential impacts of horizontal drilling and enhanced oil recovery methods. Jim Nash announces town hall meeting at Rochester High School for March 11, 2014. March 10, 2014 – A Don’t Drill The Hills member spoke during public comments of the RCS Board of Education meeting regarding Jordan Development’s (an oil and gas company) expressed interest in RCS property. March 11, 2014 – Over two hundred and fifty people crowded into Rochester High School to participate in a Town Hall event which included presentations as well as a question and answer period. Oakland County Water Commissioner, Jim Nash, gave an informative overview of oil and gas exploration and the controversial ‘fracking’ technique. March 12, 2014 – Don’t Drill The Hills issues a press release following the success of the Town Hall meeting on March 11, 2014. April 25, 26, 27 – Don’t Drill The Hills participates in the Michigan Earth Day Fest in Rochester, MI. DDH team members educated the community regarding the risk and benefits of oil and gas drilling in residential areas such as Rochester Hills, MI. April 23, 2014 – After of requests by the Don’t Drill The Hills group for the City to schedule a well-publicized, open, balanced, and official public hearing, Mayor Barnett schedules an informal “open house” meeting. He invites only 5 subdivisions via a letter with 10 days notice to a weekday meeting at 5:30 PM. See post. April 28, 2014 – In response to Don’t Drill The Hills member communications with City, Mayor Barnett said that anyone in the public could come, and an additional expert would be added. See post. May 15, 2014 – Don’t Drill the Hills, Inc. filed legal action against the City of Rochester Hills for signing a lease for oil and gas exploration of City-owned park and cemetery properties. DDHI believes this violates the City’s Charter, Michigan statute, and is a violation of public trust. See post. November 4, 2014 – Oakland County Circuit Court Judge James Alexander denied Rochester Hills residents the right to vote on our parks regarding the oil/gas lease and pipeline easement of our parks. The judge’s ruling says that the residents do not have the right to legally enforce their city charter. See press release. November 19, 2014 – With the backing of it’s supporters, Don’t Drill the Hills, Inc. decides to appeal the decision issued on November 4 by Judge James Alexander of the Oakland County Circuit Court. See post. April 20, 2015 – Rochester Hills residents and Don’t Drill the Hills successfully pressures Rochester Hills City Council to add additional protections to proposed Gas and Oil Drilling Ordinance. April 22, 2015 – Don’t Drill The Hills is recipient of the 2015 Green Hall of Fame Award in the Community category as selected by the MI Green Team, managers of the MI Earth Day Fest. See post. 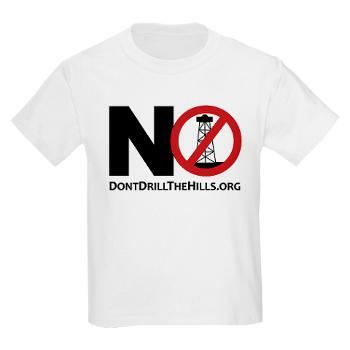 Jun 9, 2015 – Don’t Drill The Hills hosts a Community Informational Meeting to educate the residents on oil and gas drilling in high-density residential areas. DDH introduced to the shocked audience the proposed oil and gas operations in the residential areas of Oakland County. See post.